Beautiful vocals & visuals JYJ; true showmanship. You are maturing so fast that it leaves me breathless… You were truly missed as a team, yet as individual artists you also shine. Not even a cool summer breeze could dampen the heated energy shooting out of JYJ. The air buzzed hotter than a tropical rainforest with screaming fans and JYJ’s powerful energy filling the outdoor stadium. A passionate performance and explosive screams let the world know that the ‘Kings’ had returned. 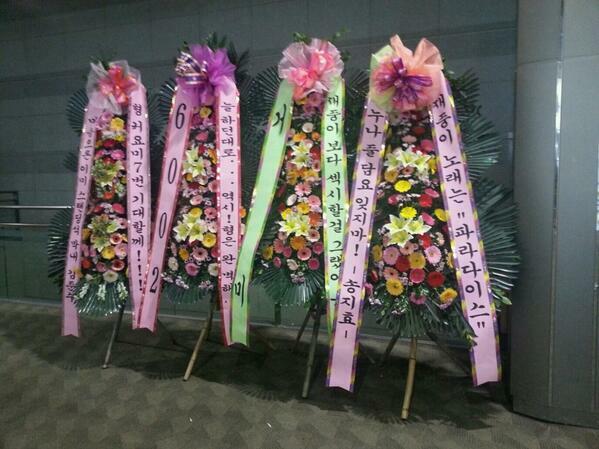 JYJ held the Seoul leg of their 2014 Asia Tour ‘THE RETURN OF THE KING’ at the Jamshil Stadium on the 9th. 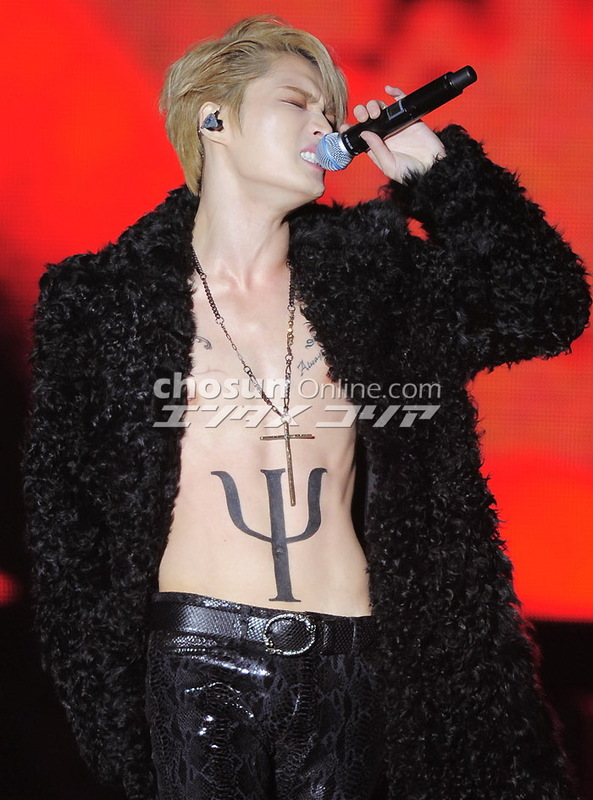 The venue was filled to the brim from early on in the day with 30,000 fans who had gathered to see JYJ. Holding red lightsticks in their hands, their shouts were more passionate and energetic than ever as they awaited the return of JYJ as a complete group. On this day, JYJ’s might could easily be felt. Standing on stage together for the first time in approximately four years, JYJ repaid their screaming fans with a passionate performance. 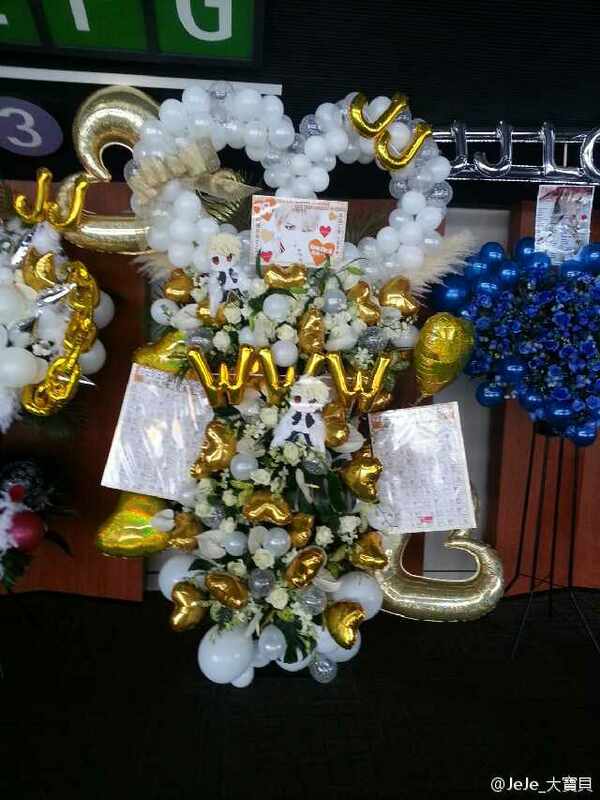 They took on a variety of genres, from emotional ballads to exciting dance tracks and explosive rock songs. With 11 years of experience under their belt, JYJ didn’t seem to slow down at all throughout their performance, which got their fans more excited than ever. A wide array of solo performances that showcased each member’s charm drew the attention of many. Kim Junsu sang a total of four songs, starting with ‘7 Years’ and then going on to sing ‘Tarantallegra’, ‘Turn it up’ and ‘Incredible’. Not only did he express the innocent and beautiful emotions of childlike wonder, he also filled the stage with energy and wonder. The stage buzzed with lighting effects, dancers and Kim Junsu’s red hair, dyed such a color because of his role in the musical ‘Dracula’. His performance with 16 dancers drew people’s attention and his choreography that included a red scarf fit him very well. He showcased a variety of performances that reflected his years of experience. 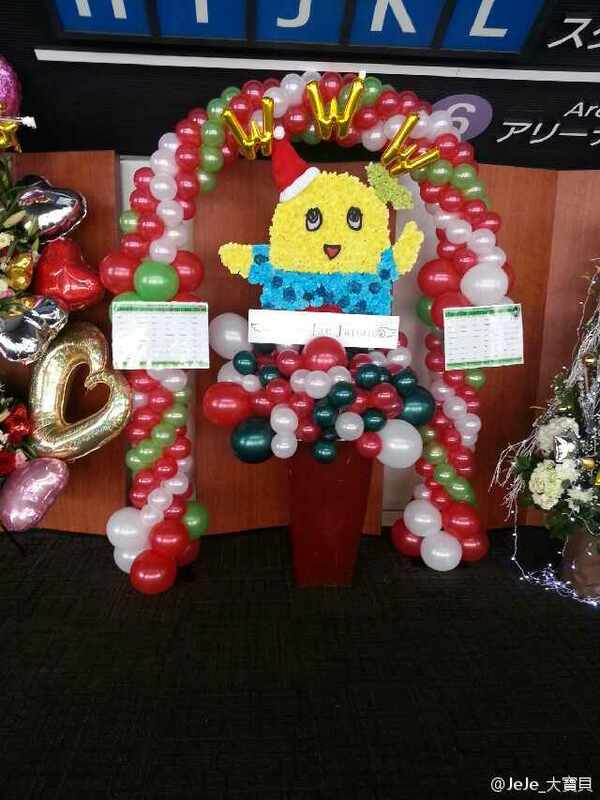 Park Yoochun’s sweet solo performance captivated his fans. 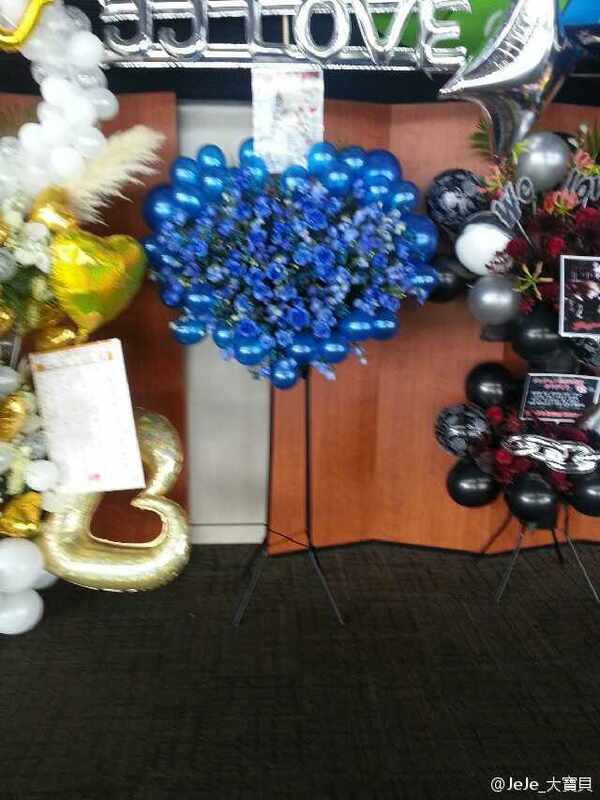 Starting with ’30’, Park Yoochun’s setlist included ‘Walking with Her in Spring’ and ‘I Love You’. His performance was more meaningful because it had been a while since fans had seen Park Yoochun on stage, instead of on TV as an actor. Park Yoochun’s natural and soft charm, coupled with a dance performance with his female dancers, filled the stage with his presence. 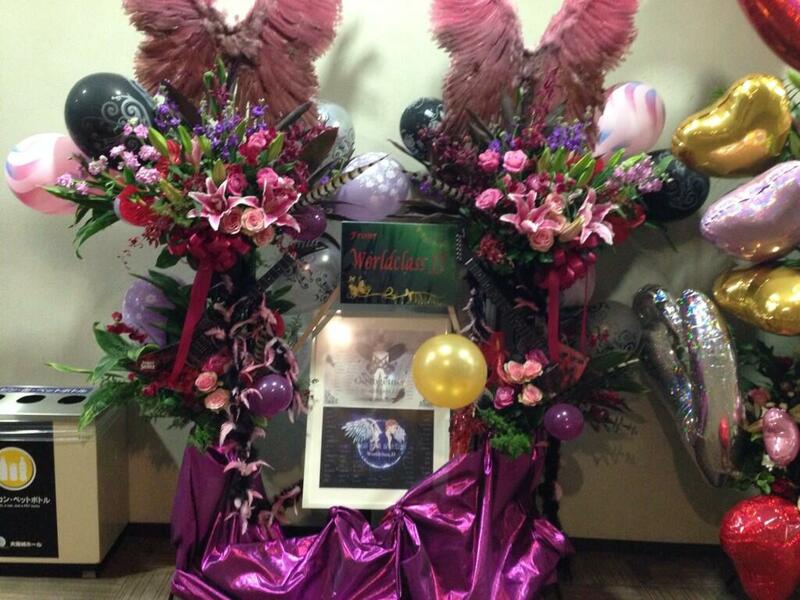 Kim Jaejoong performed ‘Dear J’, ‘Butterfly’ and ‘Mine’. 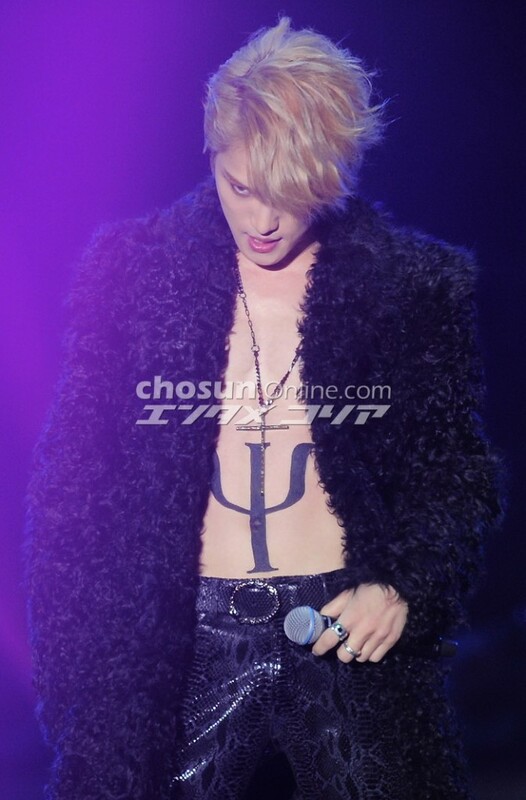 Fans screamed when Kim Jaejoong came on in a revealing outfit. He replied by taking off his top on stage. 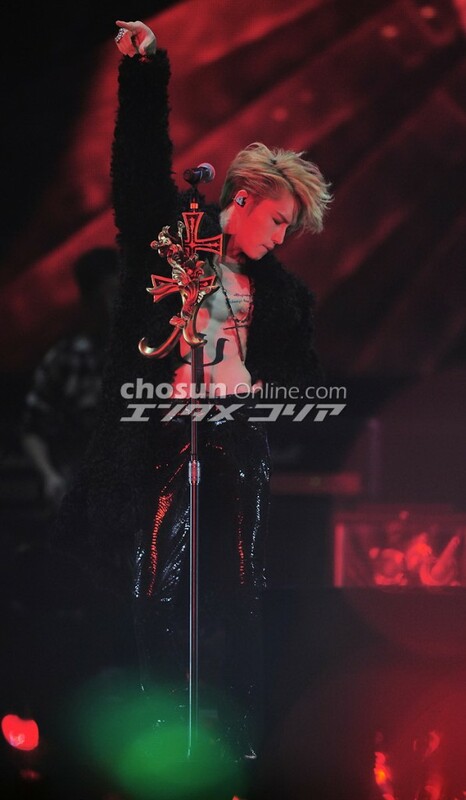 Kim Jaejoong’s performances showed the rocker within. His charming vocals harmonized with the strong instrumental and revved fans up even more. JYJ performed over twenty songs including ‘Creation’, ‘Be the One’, ‘Babo Boy’, ‘Dad, You There?’, ‘Let me see’, ‘Found You’, ‘So So’, ‘Be my girl’, ‘In Heaven’, ‘Letting go’, ‘Valentine’ and ‘Back Seat’. They also performed ‘Empty’, ‘Get Out’ and ‘Fallen Leaves’ for their encore, bringing great joy to their fans. 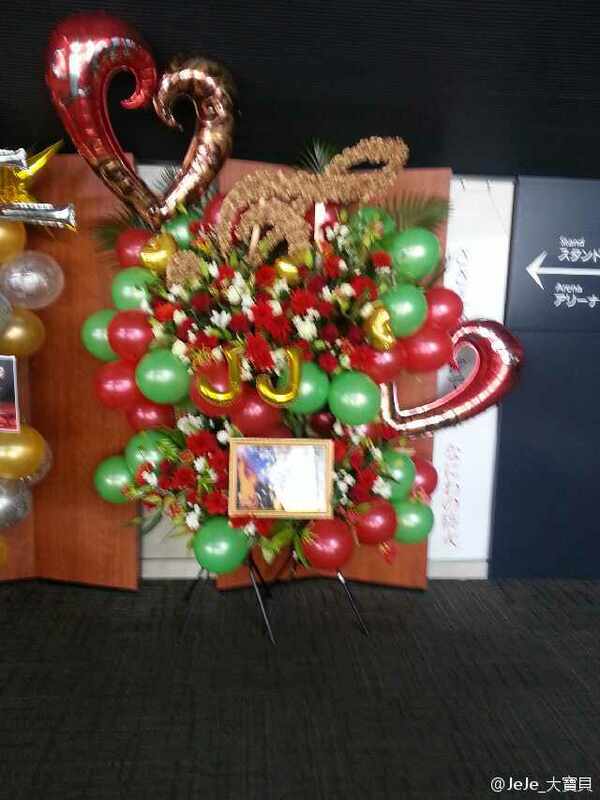 The day’s performance also highlighted JYJ’s heartfelt care for their fans. 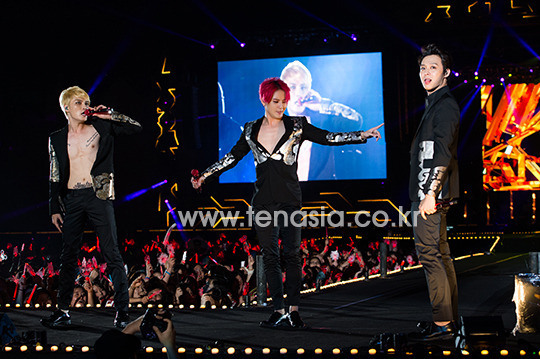 JYJ traversed across a 80m extended stage to get one step closer to their fans. The stage also included a 22m-by-8m main screen that opened up, as well as 12m-by-9m screens on either side to ensure that everyone had a clear view of what was going on. The stage that was connected to the extended stage in the middle was created with a steel truss design, the first of its kind in Korea, to allow more movement. Eight programmed moving trusses were installed on the main stage, which each truss installed with various video and lighting equipment to bring a different feel to each song. The four runway trusses around the middle stage could be lifted to look like pillars during the concert. 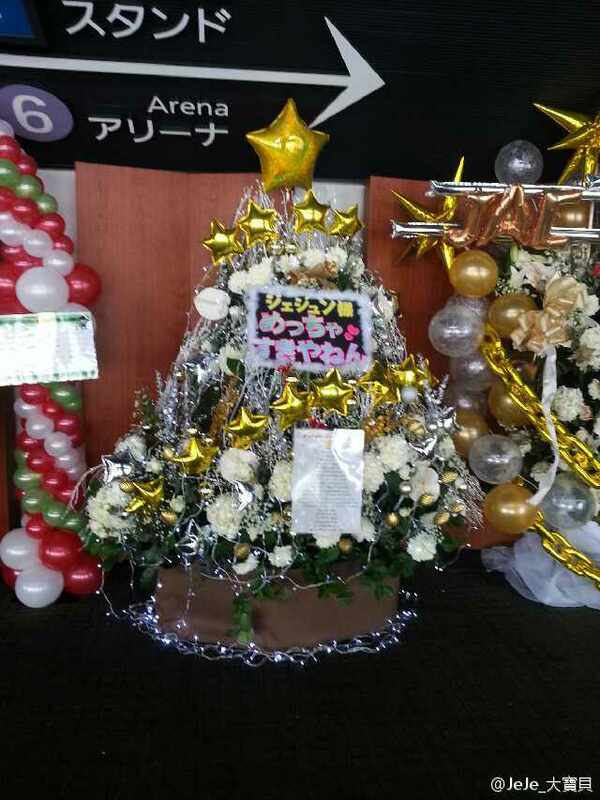 JYJ also included an extra small stage to get closer to the fans who were seated in the second and third floor. 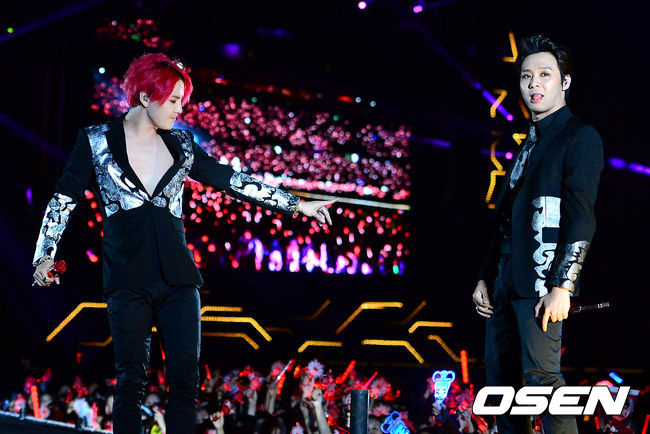 JYJ greeted their fans with more passion and energy than ever. This was their first time together in a while, and they seemed to enjoy it with all of their hearts. They worked hard to bring joy to their fans, and it was great to see them joking around like friends. Because they have been together for over ten years, we could feel a sense of ease and experience oozing from them. Those 150 minutes truly signified the return of the kings of K-pop. 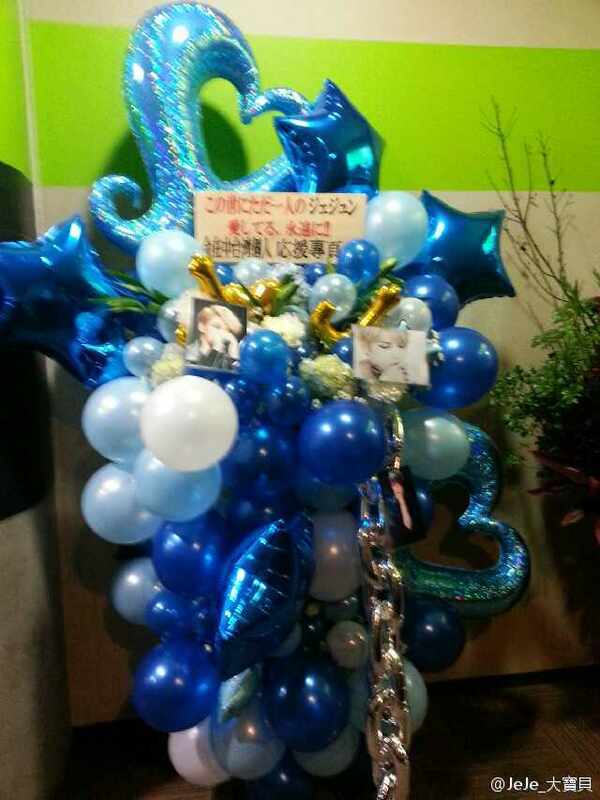 JYJ’s fans were just as amazing as their singers. 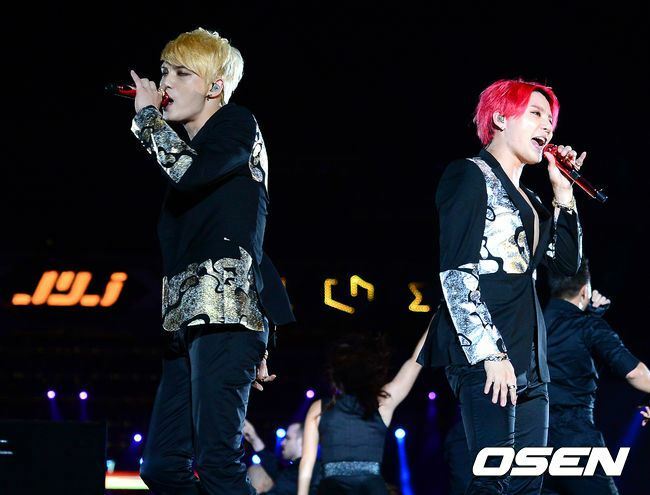 Not only did they fill the stadium with red lights, they also cheered JYJ on with passion and precision. Their love and passion could be felt through their cheers, which never stopped throughout the entire performance. 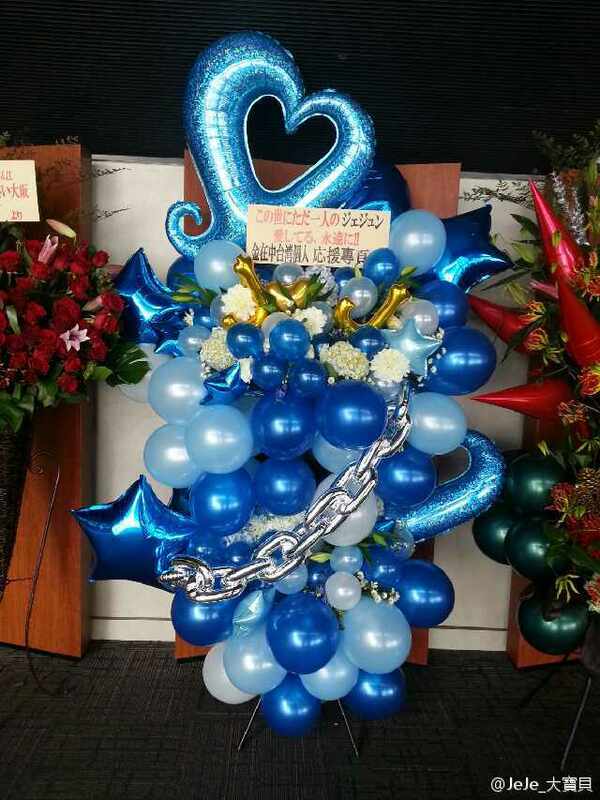 It was a meaningful time for both JYJ and their fans. Meanwhile, JYJ recently released their second full-length album ‘JUST US’ on the 29th of July. The album is their first in three years since ‘In Heaven’, and includes lyrics and songs written by the members themselves. JYJ’s popularity was proven when over 120,000 copies of the album were pre-ordered. They also dominated various online music charts when their album was released. Kicking off their tour in Seoul, JYJ will move on to perform in eight cities around Asia, in regions such as Hong Kong, Beijing and Vietnam. As you know, JYJ will hold a concert in Ho Chi Minh City at the end of August (30/8/2014) and we are pretty sure that many international fans will join this concert. Therefore, we collect and compile some tips for transportation and accommodation in Ho Chi Minh City. 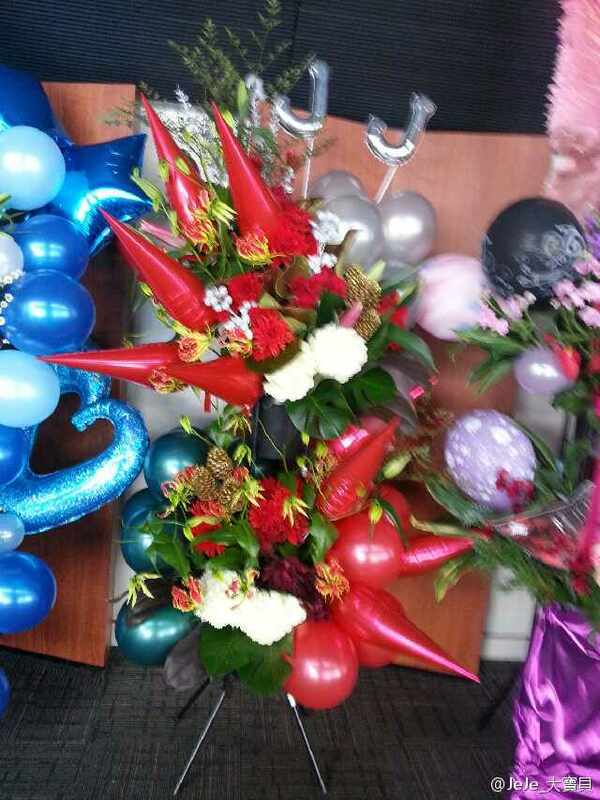 We hope that you will have a great memory here. For further help and information, please contact us, we will help you as much as we can. The cheapest way is to take public city bus #152 parking in a lane few steps away on the right side from the arrival’s entrance. 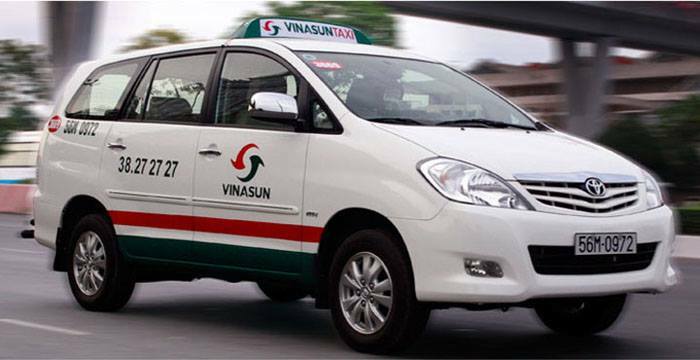 Tell the staff to drop you off at 247 Hoàng Văn Thụ. You can walk from there to the venue. 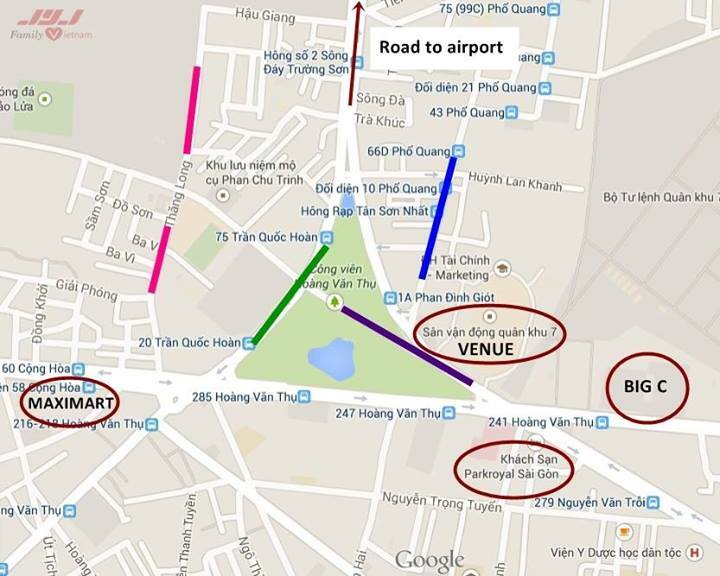 Here are some hotels near the concert venue (Quan Khu 7 Stadium). 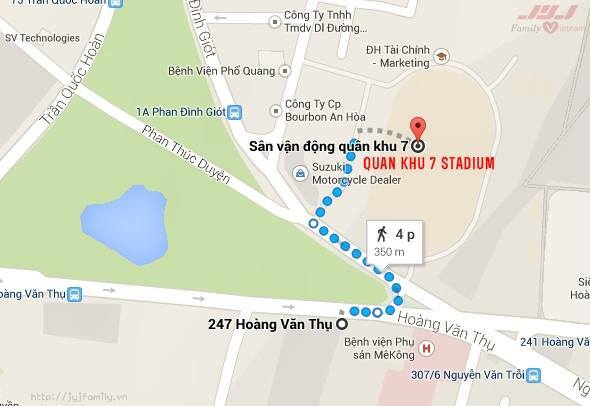 Here is the list of restaurants/café near the Quan khu 7 Stadium. We will attach an area map for further information. – Maximart is located on Cộng Hòa Street with variety of fast-food restaurants such as Lotteria, Jollibee, Popeyes – Besides, on Lăng Cha Cả intersection, you can find Burger King. We are preparing JYJ concert package for International fans as well so please be patient for a couple of days! JYJ Vietnam Concert Package will include: Concert ticket + Flight Ticket + Hotel. 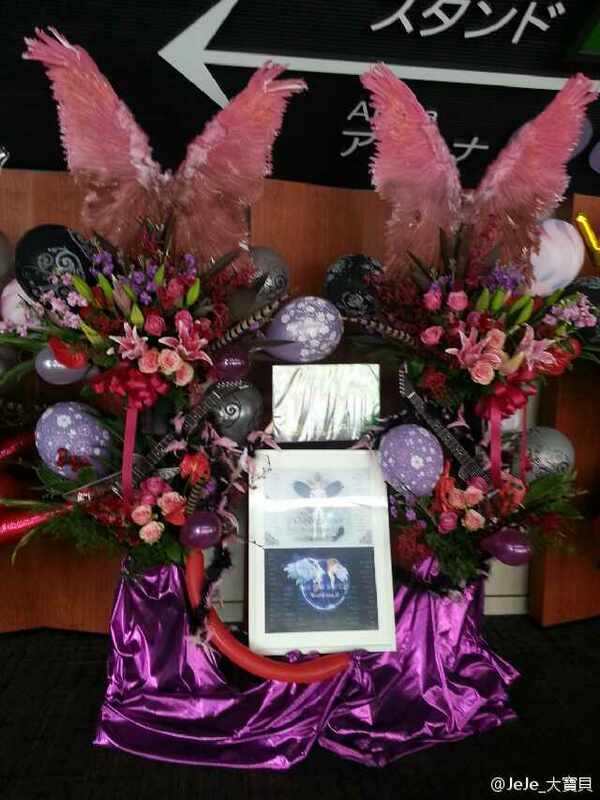 JYJ member Junsu will be holding his, ’2014 XIA THE BEST BALLAD SPRING TOUR’ this May. 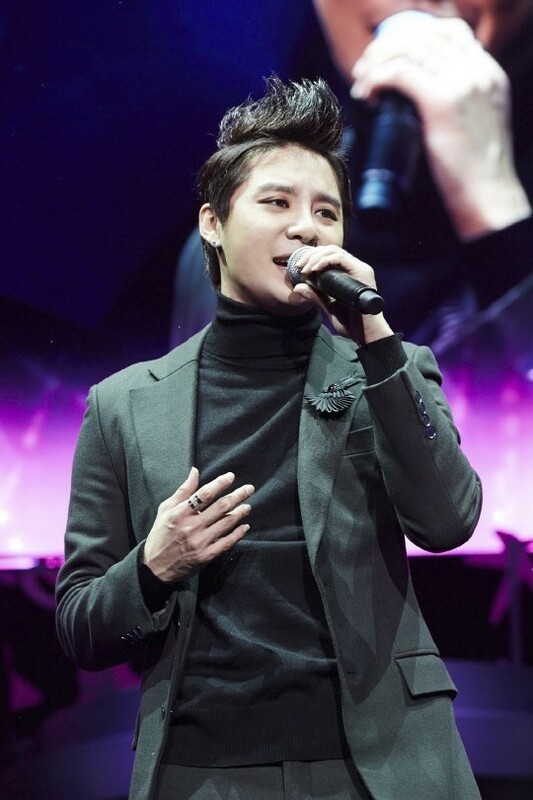 His agency revealed that his previous ‘Ballad&Musical Concert’ were always a hit for the past two years and they decided to create a Japanese version of this best ballad concert tour. 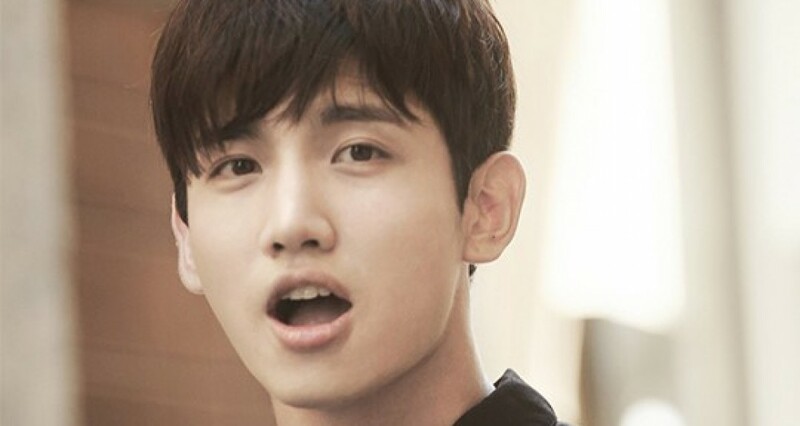 On top of his usual ballad songs and drama OST’s, he will also be singing his well loved Japan ballads as well. 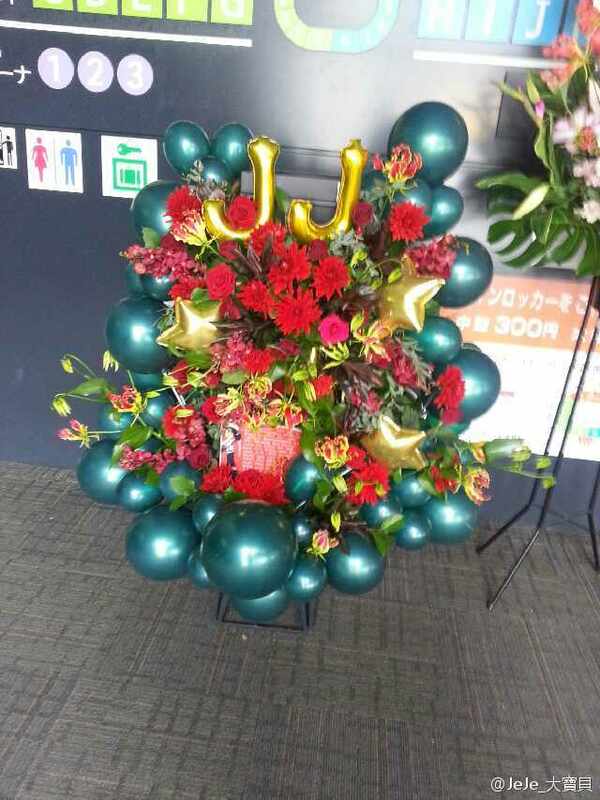 They felt that Junsu’s music would make for a special spring season for his fans. 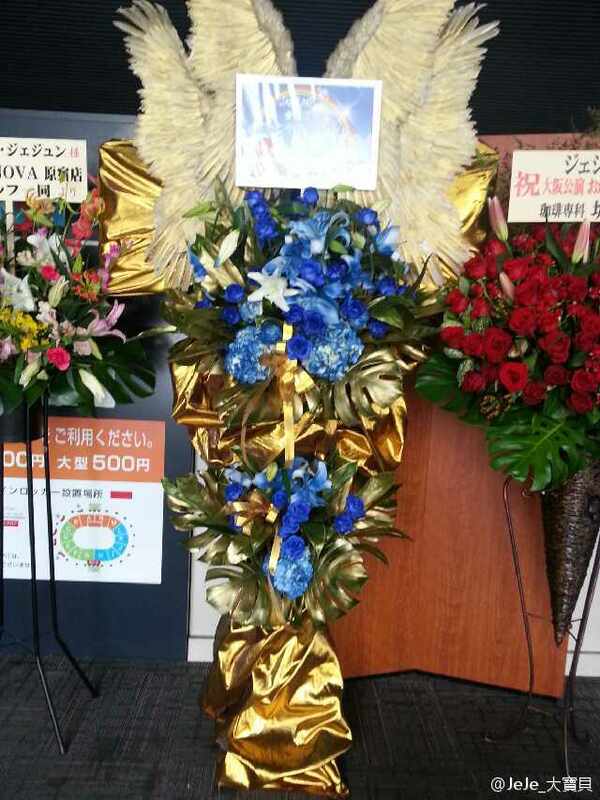 He will be holding his Tokyo concert on May 13-15 and in Osaka on May 22-24. 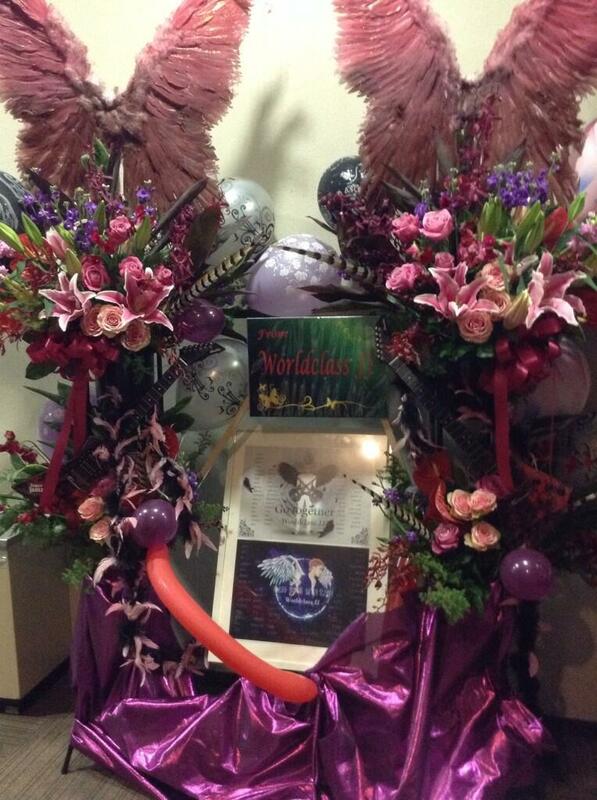 Each concert will bring in around 36,000 fans, allowing him to meet a total of around 70,000 fans. Hello. This is Interpark Ticket. This is a notice of show cancellation for <2014 Kim Jae Joong 1st Album Asia Tour Concert in Daegu>. 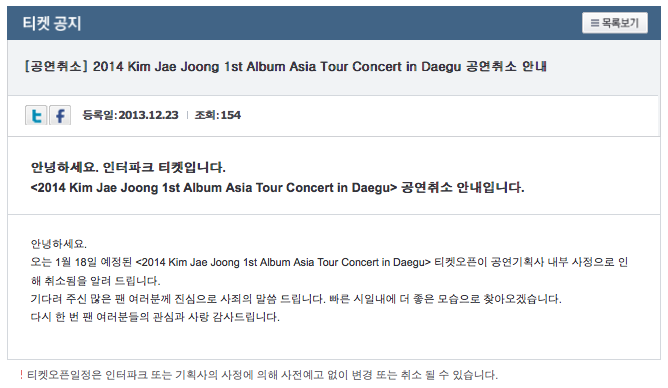 We are informing you that the ‘ticket open’ for the upcoming <2014 Kim Jae Joong 1st Album Asia Tour Concert in Daegu> on January 18, 2014, has been cancelled due to internal affairs within the production agency. We sincerely apologise to all the fans who have been waiting. We’ll aim for a better appearance as soon as possible. Once again we thank the fans for the love and interest. Note: C-JeS’ Notice is basically saying the same thing, added with confirmation of Busan concert (January 4), Gwangju concert (January 11), and Seoul concerts (January 25~26). I always appreciate those who put forth effort to record videos. 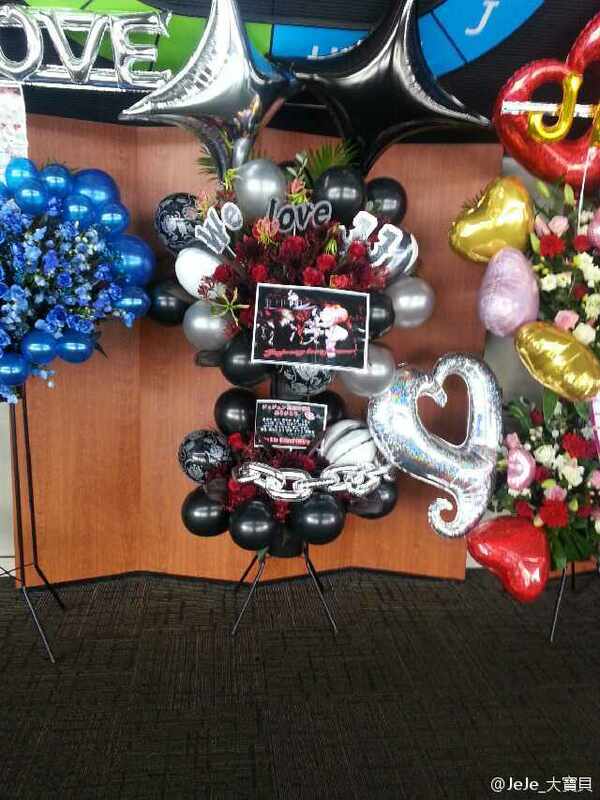 This post will be updated throughout the day with Twitter, Naver LINE and Instagram updates by JYJ. A time will be added with each tweet, LINE message and Instagram update as our translators will not always be able to provide instant translations This post includes updates from 6am KST, November 2nd to 5:59am KST, November 3rd. 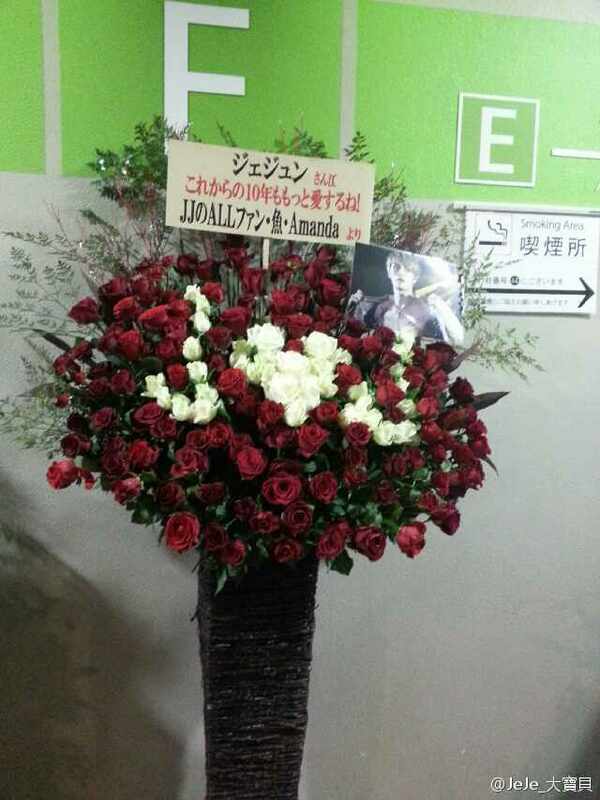 -From the maknae (youngest), Kim Junsu; if I could, I’d already be in the standing area. Hyung, I’ll be waiting to see you go up to 7 in the ‘Gwiyomi song’!!! -6002. Just do what you normally do… As always! You are perfect. -Gummy. I should have been sexier than Jaejoong. 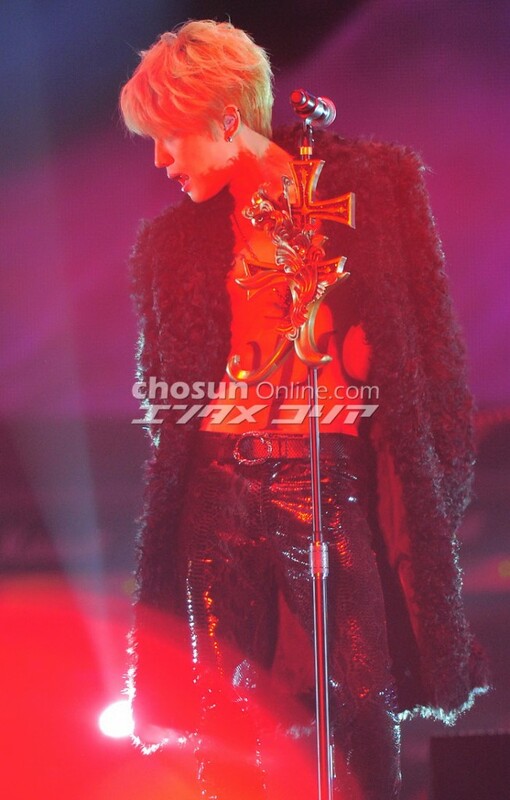 Ahead of his concert, JYJ’s Kim Jaejoong has released a few pictures from his rehearsal with a live band. 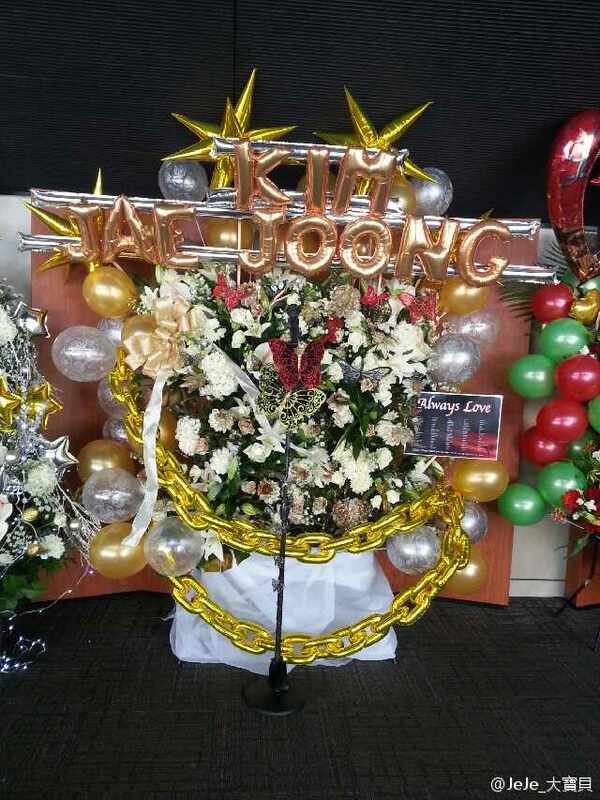 The photos show Kim Jaejoong preparing for his concert with a live band, and working with Gummy to create the perfect harmony. 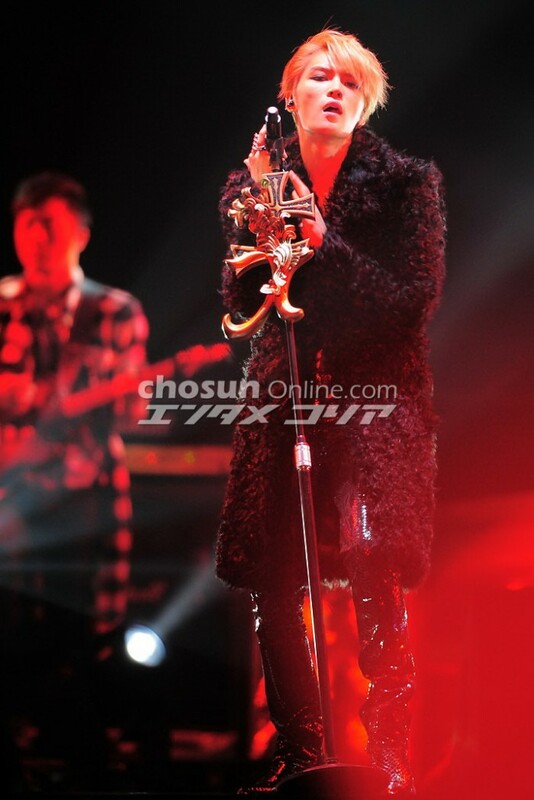 The singer looks like a mischievous rocker as he rehearses with Gummy. Meanwhile, Kim Jaejoong’s first full-length album was released on the 29th and topped the iTunes charts in 10 countries, including Japan, Singapore, Taiwan, Thailand, Malaysia, Hong Kong and the Philippines. 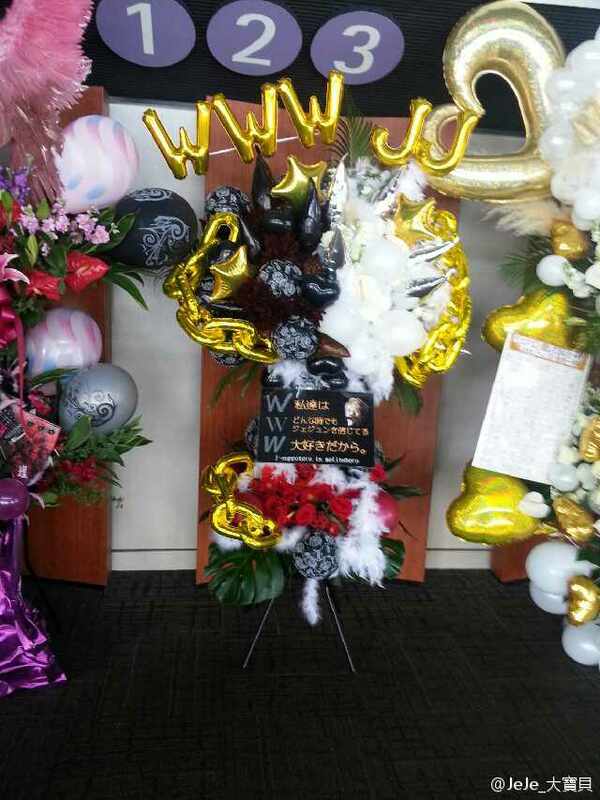 We came in at 34th place on the worldwide charts, proving his popularity as a global star. 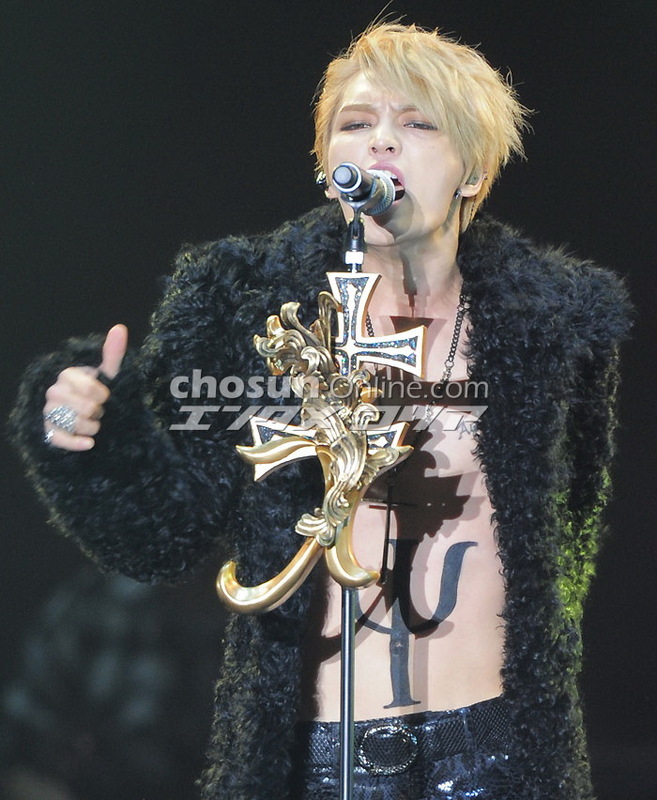 Tickets for the Seoul leg of Kim Jaejoong’s first album Asia tour sold out in just 15 minutes. 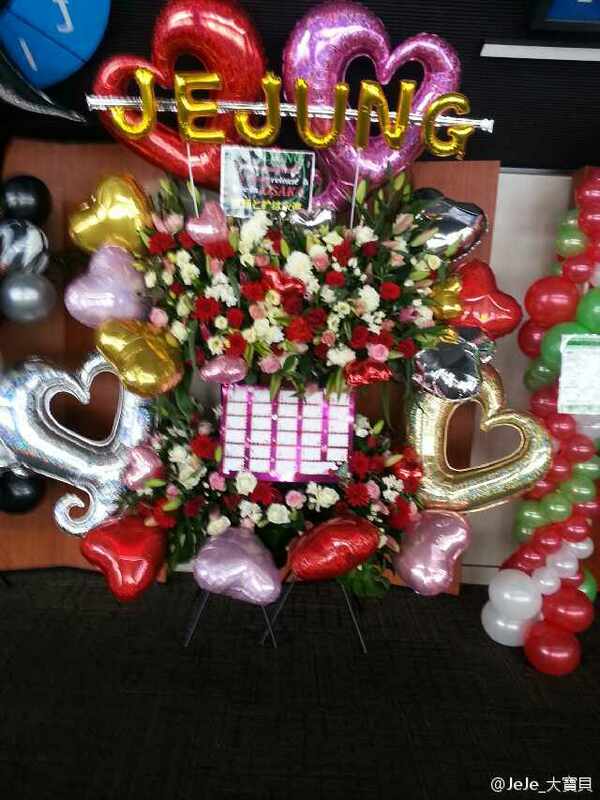 Kim Jaejoong will be holding his concert on the 2nd and 3rd of November in COEX for 14,000 fans. The singer proved his popularity yet again as Interpark’s homepage and phone application threatened to crash as soon as ticket reservations began. In January, Kim Jaejoong sold out all 16,000 seats of his ‘Your, My and Mine’ mini-album concert and broke the record for the most overseas IP addresses converging on a site at one time. 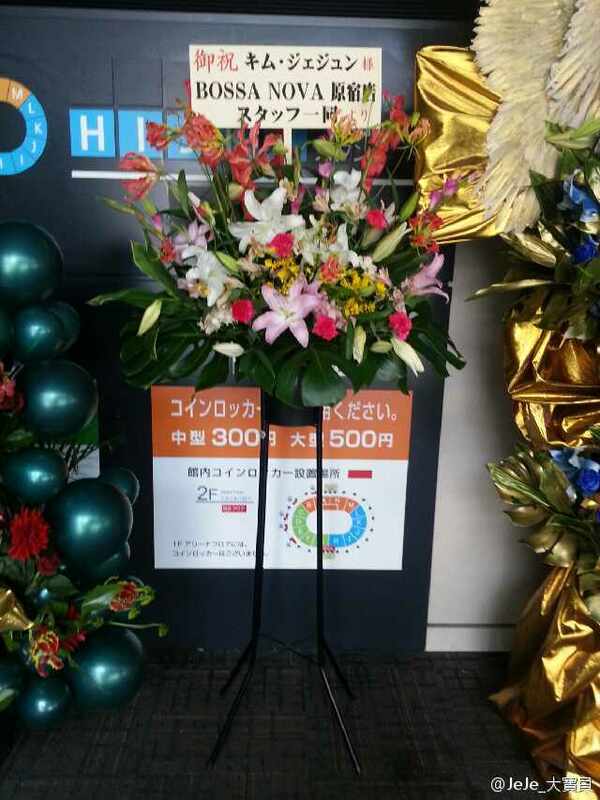 He also sold out his Yokohama grand finale performances, and even sold out the additional seats that were created in response to the demand of his fans. 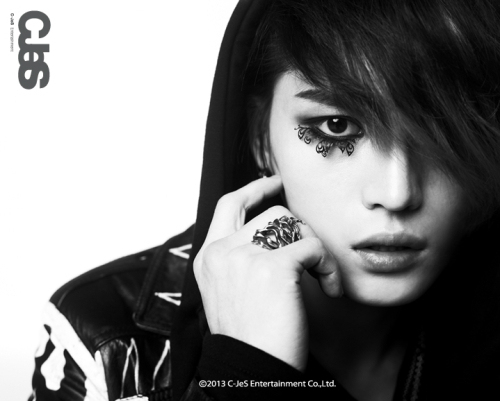 Meanwhile, Kim Jaejoong’s first full-length solo album will be released in late-October.